Israeli sources said. 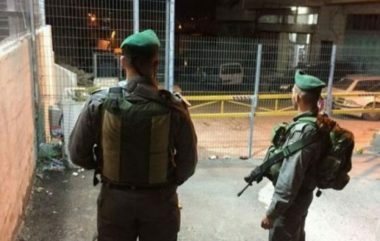 Tuesday, that an explosion struck a post for the Israeli Military Police, in Hebron, in the southern part of the occupied West Bank. The sources said the explosion was caused by an explosive charge which detonated near the police post, close the the Ibrahimi Mosque in Hebron. The Israeli police and army initially claimed the explosion was caused by a grenade which was reportedly thrown at the post, but later said it was an explosion charge.